The stand-out 2006 feature film from the brilliant director Christopher Nolan, starring the superb Christian Bale (THE DARK KNIGHT TRILOGY, AMERICAN PSYCHO) and WOLVERINE himself Hugh Jackman, was finally experienced last week in Blu-Ray quality. Set in London in the 19th Century, two daring magicians, Robert Angier (Jackman) and Alfred Borden (Bale), set out to create the ultimate stage illusion. However, following the accidental death of Angier’s beloved wife during an illusion, tensions rise and a rivalry between the two begins to cloud their focus and take over their lives, and suddenly a life goal for both becomes a gruesome race and battle against time and one another to be hailed as the greatest illusionist of all time. 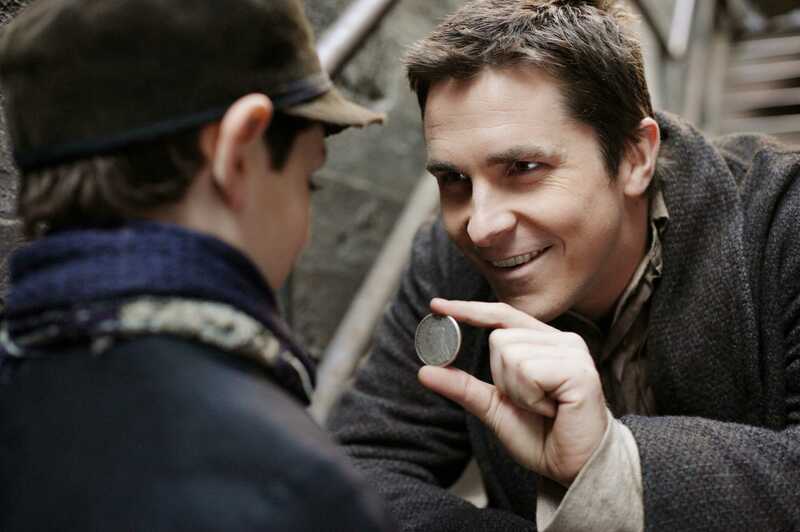 Christian Bale is superb as the outrageous and less presentable Alfred Borden. From being used to his American accents in films, it was quite surreal to actually hear his British mother tongue in this epic, but I have to say it adds to his darkness even more than his ‘Batman voice’ did. He shows once again his expertise in transforming himself into the character of a film, allowing the viewer to look back at him as crazy “Freddy” rather than as Christian Bale playing Alfred Borden and this is something which continues to make Bale one of my favourite actors of all time. Hugh Jackman is also genius as the clean cut and obsessive Robert Angier who longs to find out the secret behind Borden’s “The Transported Man” illusion, bringing the intensity we see from him in the likes of X-MEN and PRISONERS to the table. Rated #51 in IMDB’s Top 250 Movies of all time, THE PRESTIGE has an undeniably stellar cast throughout, with the likes of Michael Caine and Scarlett Johansson also playing brilliant supporting roles, and an addictive plot line which packs several twists and turns to keep the viewer on edge. It pays true homage to Christopher Nolan’s dark approach to storytelling and definitely goes down as one of my favourites of his to date. 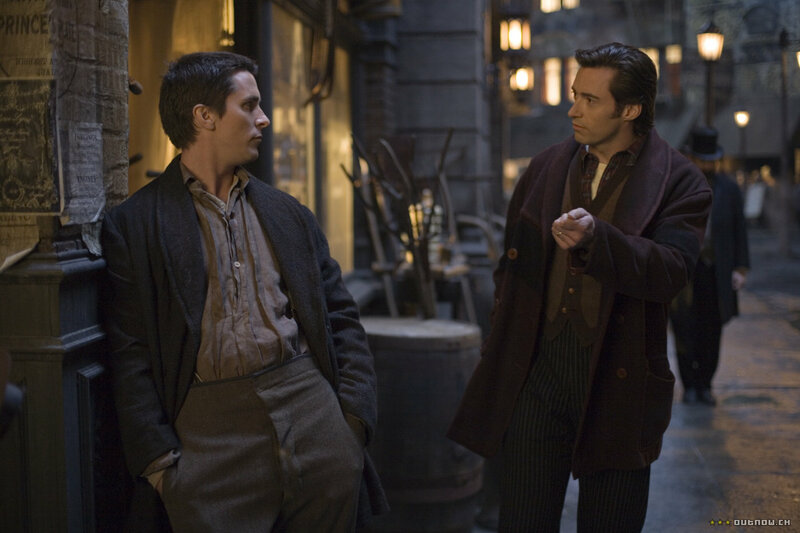 I can fully recommend THE PRESTIGE to any Nolan, Bale, Jackman, magician, mystery or thriller fan out there, as it truly does live up to its levels of praise, but personally on an overall feature film level, it personally deserved much more recognition from The Oscars. Recommendation: This film has to be added to your collection! Get to HMV and grab it in a 3 for £20 deal on Blu-Rays, or alternatively log on to Amazon and grab it on there. Fantastic film!